Have you seen the all new BMW X3? It’s a tough SUV, and one of the best in class for the luxury SUV compact market. US News & World Report gave the BMW X3 a higher rating for safety, performance, and interior. With the new redesign, the BMW X3 has never looked so good but it’s also about the reliability and performance. Even in the base engine, you’re getting tons of horsepower. The 245 horsepower is available in the standard trim, but you can always upgrade to the higher horsepower, which includes an all new trim. Choosing a Sports Activity Vehicle as your next car of choice brings with it a fair amount of benefits. There's the ability to adapt to various road conditions and also to ferry around a good size group of friends. 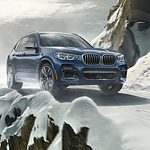 With the X5, BMW is giving drivers these benefits along the premium luxury that they are known for. 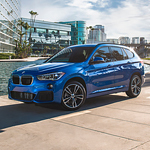 If you travel frequently in Medford, you'll benefit from owning a BMW X1. This particular car by BMW is a practical option for short and long trips because it has many useful tool in its cabin. 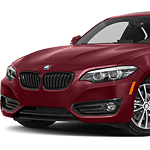 When you purchase a BMW from Medford BMW, you're getting a complete package. You'll get to drive a luxury vehicle with performance features, and you'll also be protected for one year from roadside tire damage. Drivers who live in places such as Medford know that winters can be harsh. 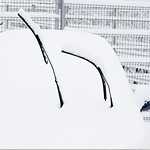 The snow, sleet and cold temperatures can really damage a set of wiper blades. Many people don't realize that there are wiper blades specifically designed for the winter season. The typical wiper blades that you will find on most vehicles are designed for summer weather. They are lightweight with a thin layer of rubber designed to clear away rain from the windshield. They aren't sturdy enough for heavy snow and sleet. Oversteering and understeering are two things that are common in certain types of vehicles. Because conditions can be hazardous under certain conditions, we at Medford BMW want you to be aware of how your vehicle is operating and if it is oversteering or understeering. Oversteering is when the tire or car turns sharper than you expected, and understeering is when it turns less than you expected. 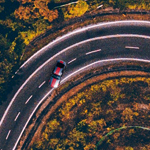 While oversteering typically happens with rear-wheel drive vehicles, and understeering occurs with front-wheel vehicles, both types of vehicles can do both. 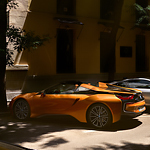 Driving is the most important factor of choosing a vehicle. 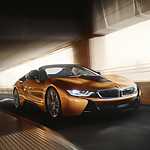 We at Medford BMW know the value of driving modes. 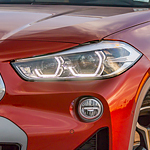 This is why when we give you the selection of BMW X Models, we make sure that we have different drive modes for you to choose from according to your driving skill and preference. 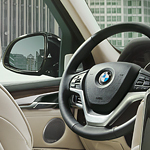 The BMW X Models have different drive modes depending on the vehicle. There is the all-wheel drive mode known as xDrive, which is based on the intelligent BMW design. You also have the choice of the agility-based sDrive rear-wheel drive system.